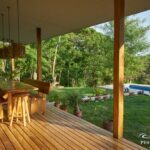 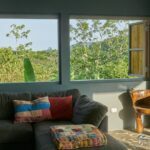 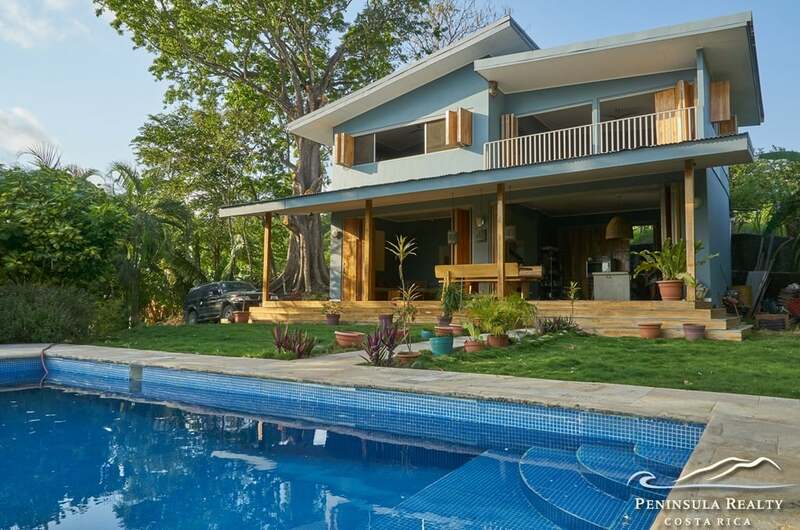 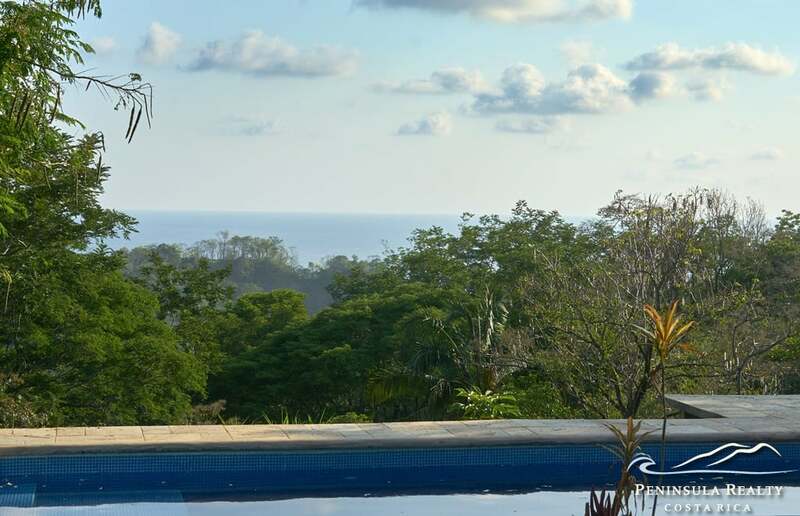 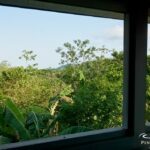 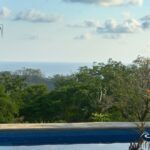 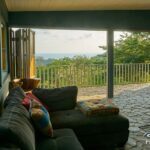 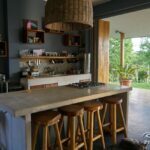 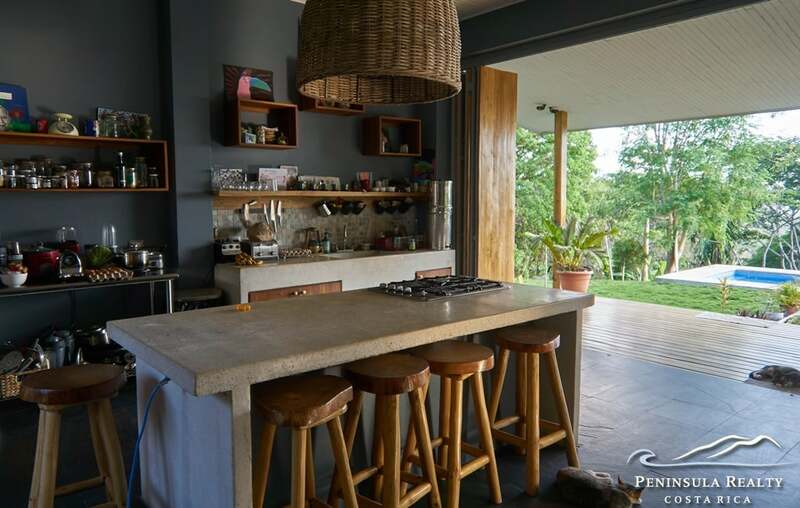 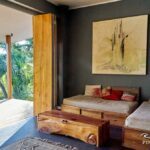 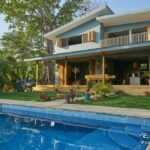 Exquisitely charming home on a 1,200 square meter lot above the beaches of Santa Teresa and Mal Pais. 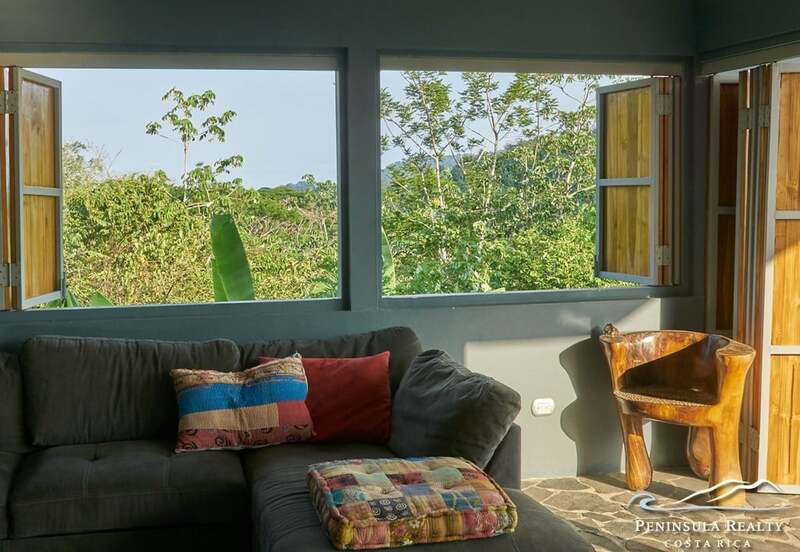 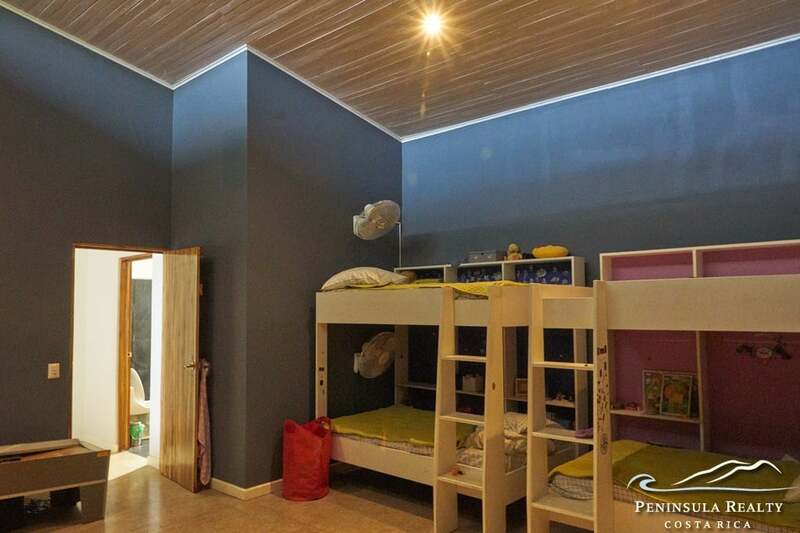 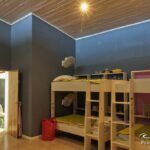 The open, flexible floor plan is well suited for a small family or for vacation rentals. 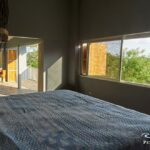 Currently configured as a 2-bedroom, 2-bathroom house, an additional bedroom could easily be created upstairs. 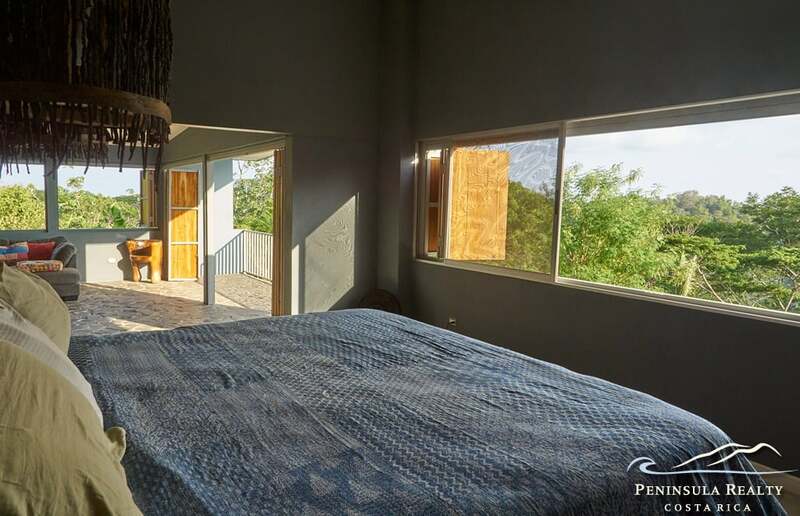 The high ceilings and provide ample light. 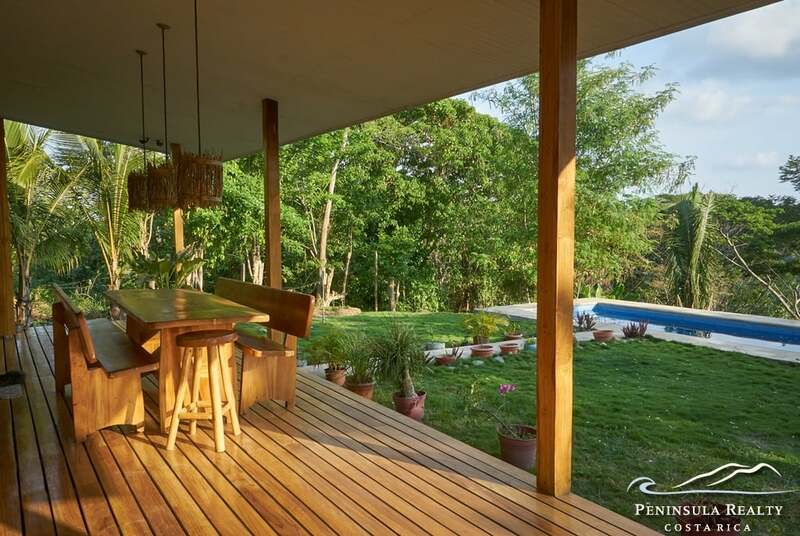 Teak wood accordion doors lead to the covered wooden deck which is perfect for meals or just whiling away the hours. 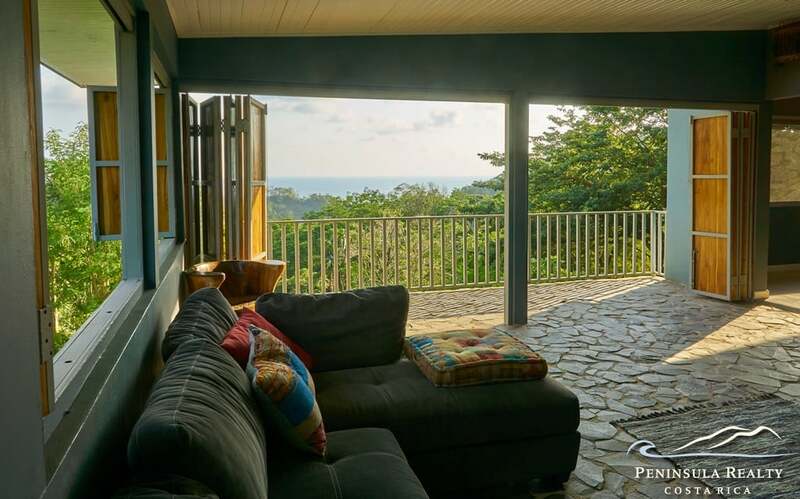 Embrace the coastal views and the Pacific sunset as you kick back on the covered, wood veranda and overlook the pool with the expansive ocean perspectives. 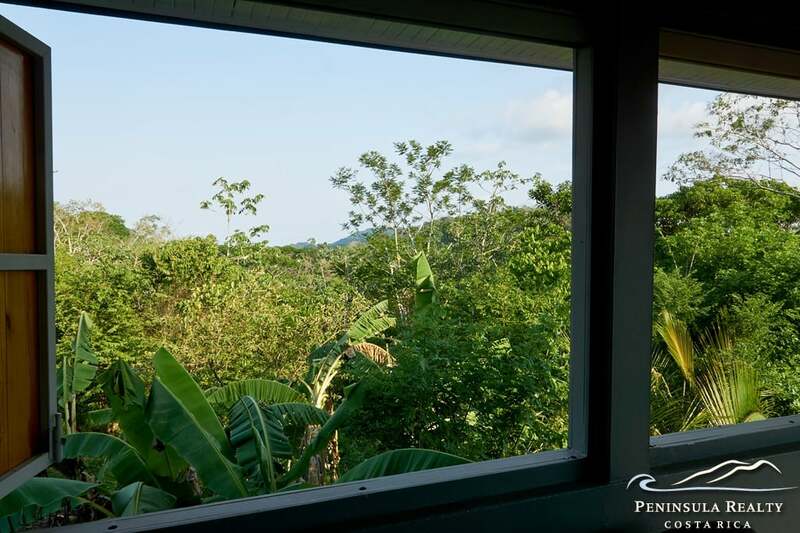 The real estate property is gated and within 5 minutes of the center of town. 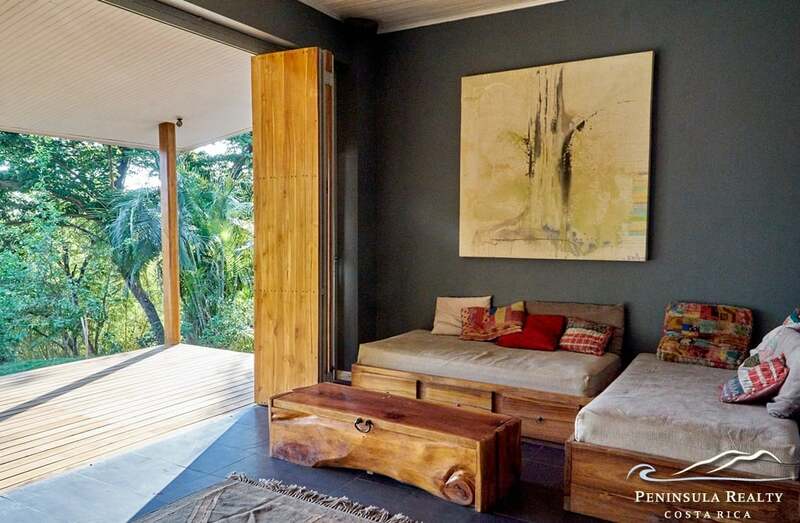 All this ensconced in beautiful, tropical landscaping and at a very reasonable price.